Shimano compatibility charts come in handy for assembling your bicycle, planning purchases, or troubleshooting. 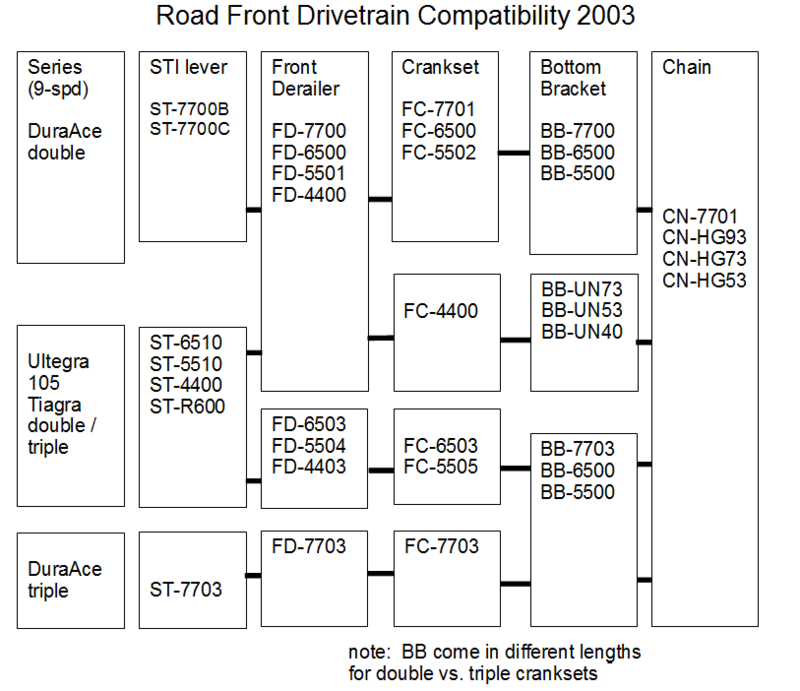 We have included their compatibility charts from 2003 here as well as notes to these charts. The Japanese Shimano site has proven the most handy on charts. For 2003, the original was not in a presentable format, so it has been reformatted for better display. 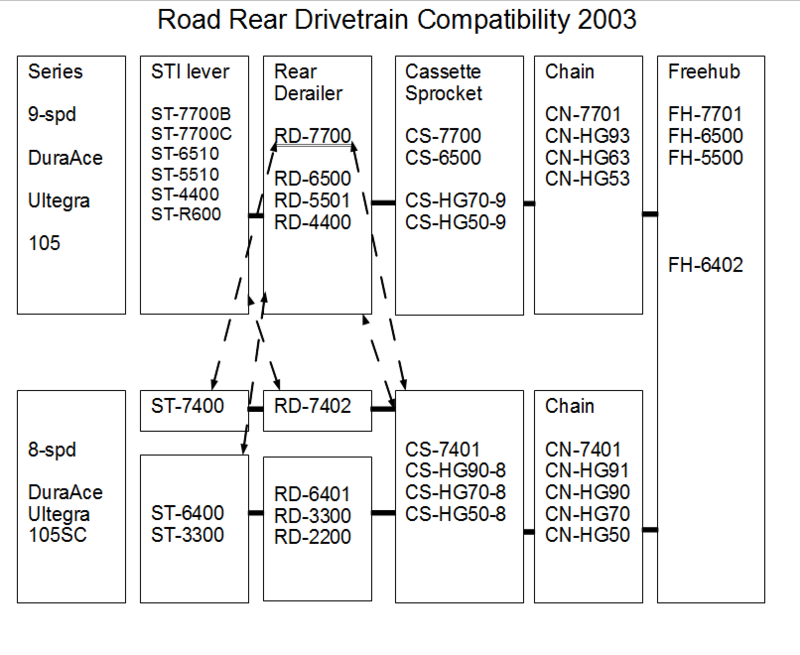 Brake compatibility charts for 2003 systems were not available.